When the work of an artist I'm unfamiliar with comes across my desk my first stop is usually Wikipedia so I can learn a little about who I'm listening to. When that doesn't suffice I usually seek out their social media presence (if any). In the case of this review, I had to seek out Caleb Caudle through social media. Crushed Coins isn't his first album but it's the first one I've heard. If you've been looking for someone to say, "I used to listen to them back when…." this is your guy because, with only 6,025 likes on Facebook (as of this review), I don't anticipate he'll stay at this level for very long. Usually, I start a new album by looking over the track listing and listening to the first title that catches my attention. I started this one on the first track though. This album plays wonderfully in chronological order so I really suggest listening from start to finish! In my case, about the only time I get to listen to music is while driving so I was fortunate to be able to dive into this one while no one else was in the car. While heading north on a coastal California Highway I started getting really into the atmospheric intro of the first song, Lost Without You. You can imagine how great a drive it was when the first lyric says, "I was born with too many miles...." The song builds slowly but the tempo never quite takes off until it segues into the next song, N.Y.C. In The Rain, which is another reason I recommend listening from start to finish because that's a constant throughout the record. N.Y.C. In The Rain is a spectacular song and is exactly what I imagined the backdrop of a rainy day in the Big Apple sounding like. Empty Arms stands out with the way the instruments are layered and has a very catchy chorus. The pedal steel and electric guitars almost harken back to the glory days of country rock in my opinion. In fact, the pedal steel offers a pristine melody in the intro to the next song, Love That's Wild. 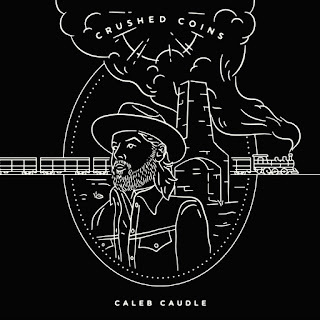 I believe this track shows that despite the overall laid-back quality of Caleb Caudle's music he has a serious ability to lock into a groove with his band. It's nice to discover someone who can move beyond the simple means of making the band slightly accentuate the song and add a little more rhythm to the music. Stack of Tomorrows was my personal favorite of the album. Again, architecture and balance shows what a crafty songwriter and musician these guys are. Just when you start getting into the song, Madelyn comes in with a totally different beat but you get caught in a jam so quick you forgot you started listening to another song. It's probably because the fiddle is so captivating but then he asks, "Madelyn, can you believe it snowed?" And you wanna hear the rest of the story. The end of this song introduces the quiet ambiance of a keyboard effect that lingers through the next two tracks. It's actually really cool how it ties the rest of the album together. Six Feet From The Flowers is almost like a whisper of a song. It's a grief-stricken narrative by a bereaved widower with full but faint accompaniment. Until It's Over is our final stop. Although it starts with a keyboard, it eventually dies down to just a voice and a guitar to tell the testimony of an honest love. The band wraps things up by leading us out with a jam. I apologize if I spent so much time exploring the band's capabilities as a whole and not so much the songwriting. You'll have to let me know if this makes the review hard to read for casual music listeners. The problem is the vocal harmonies sit so well on top of the music that it's hard not to listen to the big picture with each song. I wasn't able to dissect his music as easily as perhaps some of my other reviews. If that statement alone doesn't make you stop and just go listen to the album I don't know what will. 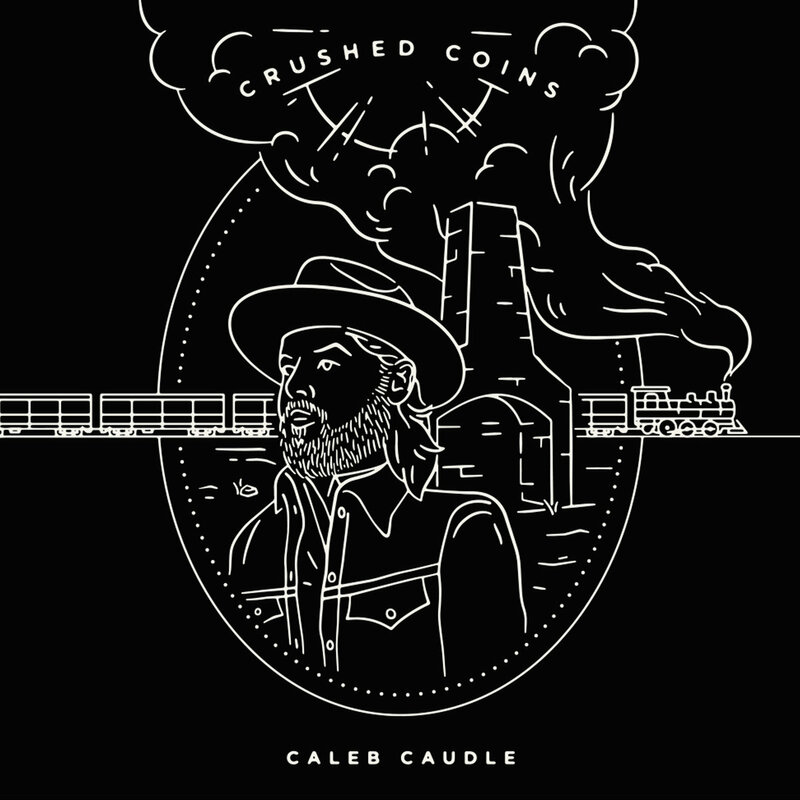 Go check out Crushed Coins and visit calebcaudle.com to find out where he's playing. As always, support the live music of the artists we review and let me know what you're listening to at storyandgritreviews@gmail.com.